It hasn’t taken long for J.D. Dillard to make an impression on the Powers That Be. One month before the big opening of Sleight, his feature film debut of magic and coming-of-age drama, the writer-director came attached to 20th Century Fox’s remake of The Fly. A modern reimagining of David Cronenberg’s body-horror classic of ’86, Dillard initially opened talks with Fox to shepherd the remake alongside writing partner Alex Theurer. It’s still early, early days, but the director is already well invested in the property, as the folks at /Film discovered in a recent interview. 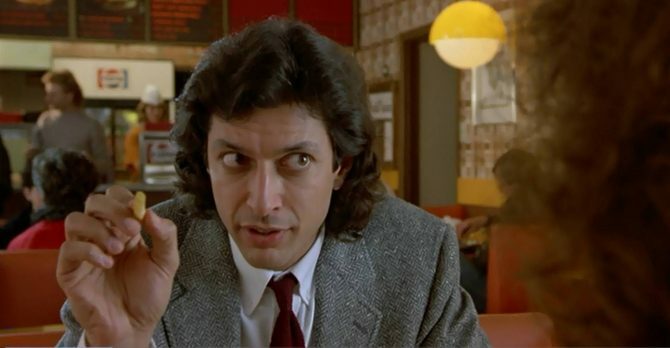 When quizzed about his approach to the source material – it’s worth noting that The Fly can be traced all the way back to George Langelaan’s original short story – J.D. Dillard noted that he’s currently envisioning a reinvention that locates the emotional heart of the story: in this case, a genius scientist hellbent on breaking new ground in teleportation. Such admirable intentions lead to catastrophic results, after Seth Brundle is reduced to a vomit-spewing insect. And though he is quick to caution that negotiations are ongoing, here J.D. Dillard zeroes in on what makes the story so special. In terms of inspiration, the writer-director then name-checked Fox’s Planet of the Apes series as a prime example of underpinning a blockbuster franchise with a genuine sense of emotion. We talk about Apes as one of our favorite franchise remakes because it’s incredible to see what pieces of those films are being remade. It’s technically the broad concept that’s being remade, but it’s a deeply emotional story that carries you through the franchise. It’s so weird: even watching the trailer for the new movie that’s coming out, I can look into Caesar’s eyes and remember the first movie, and that sensation is unparalleled for a franchise reboot for me. It’s like, man this planet is like fucked and everything is wrong and there is a war but I can look into Caesar’s eyes and remember the emotion of the James Franco story and that’s important to me. Anywhere we go it’s coming from that point of view, just that we want the beating heart of the story be our North star. And then action, fun, and scale can be piled on, but I’ve started to realize my dream film experience is something with a big scale that can also make me cry. And not cry for nostalgia, but to be emotionally moved. So, there you have it; The Fly is slowly beginning to move forward under J.D Dillard’s watchful eye. Whether the director and Fox actually reach a deal remains up in the air for now, but you can look out for Sleight hitting theaters on April 28th.